Mosquitoes are extremely active during spring and summer. And, since they are not only extremely aggravating but also can transmit diseases with some serious health risks, we have to make sure that we protect ourselves from these pesky insects. But, humans are not the only mosquito targets, they bite animals, too. If we have the means and abilities to keep ourselves safe from mosquitoes, animals don’t have that luxury, which means that we are responsible for providing mosquito protection to our pets. Why Worry About Mosquito Bites? What’s a little mosquito bite? It stays red and itches for awhile and then goes away. It 'd be good if that were all there is to it, but there is more cause for concern. For most people, a little bite causes a minimal loss of blood, but the saliva of the mosquito is what is responsible for the itchy rash that often develops. The real problem occurs because many of the species of mosquitoes carry diseases. With a bite, they can infect people with deadly diseases such as Malaria, Chikungunya, Yellow Fever, West Nile Virus, Dengue Fever, and Zika. American Mosquito Control Association (AMCA) has more information on human diseases, if interested. These diseases may all seem like tropical diseases, but as we have seen with Zika, these conditions are slowly making their way into more temperate regions due to global warming. 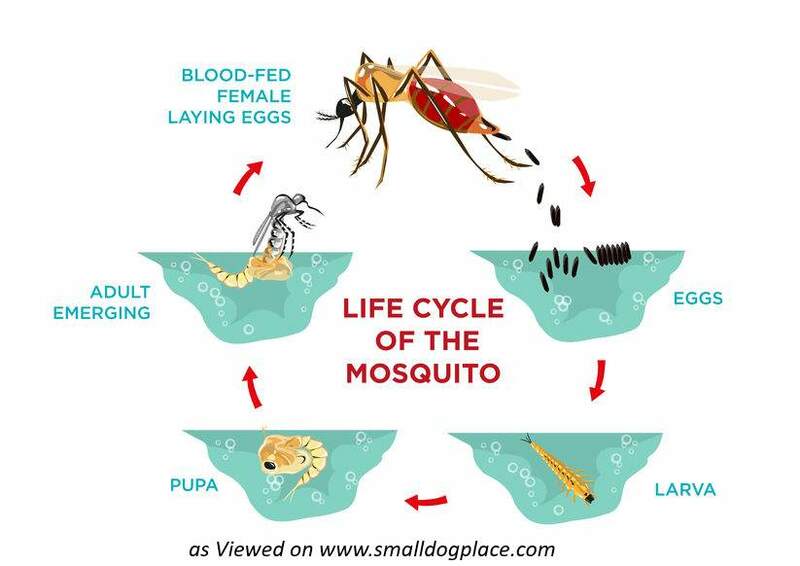 Dogs don’t get many of the mosquito-borne diseases that affect people, but they can be infected with West Nile virus but normally do not develop clinical symptoms. The most common disease that affects dogs (and cats too) is heartworm disease. We can control this disease through yearly heartworm tests and placing dogs on a regiment of heartworm preventative. The risk of heartworm is greatest in the summer months in northern latitudes, but in the U.S. south, mosquitos are active all year long. 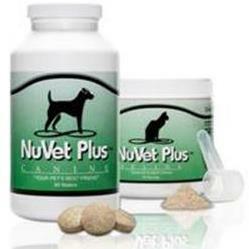 Your vet will let you know how long you must give heartworm medication and advise you to which product works best. Even if your dog does not get a disease from a mosquito bite, they can still experience the same itching and irritation that people feel. Dogs can get bitten anywhere on their body, but the majority of bites occur around areas where there is little or no hair such as ears, nose, and paw pads. 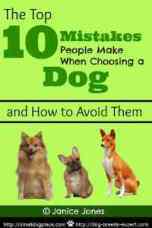 Constant scratching, redness or red welts similar to those of humans all happen to dogs as well. Typically mosquito bites on dogs are not treated, but if the dog is visually miserable, your vet may be able to prescribe something for the itching. If you can see the bite, you can apply a small amount of Benedryl cream on the bite. It is important to protect both and your pets from coming into contact with these insect vectors. We rely on repellents and creating a mosquito-free environment to keep us well. Of course, nowadays, there are many mosquito repellents available, many of which are designed specifically for animals. However, most of the store-bought repellent products contain chemical ingredients such as DEET, which still isn't the best neither for our pets or the environment. So let’s see what the natural alternatives to keeping your pet mosquito bite-free are. Firstly, you can create your own pet insect repellent using either lemon, garlic or a blend of different essential oils as mosquitoes are deterred by the sharp smell of these ingredients. Just make sure that if you use essential oils, that they can be used safely on the type of animals you have. Lemon Eucalyptus, Tea tree oil, and Lavender are three essential oils that will repel mosquitoes and are safe to use on dogs. One tsp per 1 cup of water. Mix and pour into a spray bottle. Spray on your dog. This will also protect them from other insects such as fleas. If you prefer already mixed products, these can be purchased on Amazon and work safely and effectively on dogs. There are specific times of the day when mosquitoes are the most active. They are the hours of the day when the sun isn’t out yet or has gone down already, but it is still warm enough for mosquitoes to begin their attacks, so the early morning hours and late afternoons. 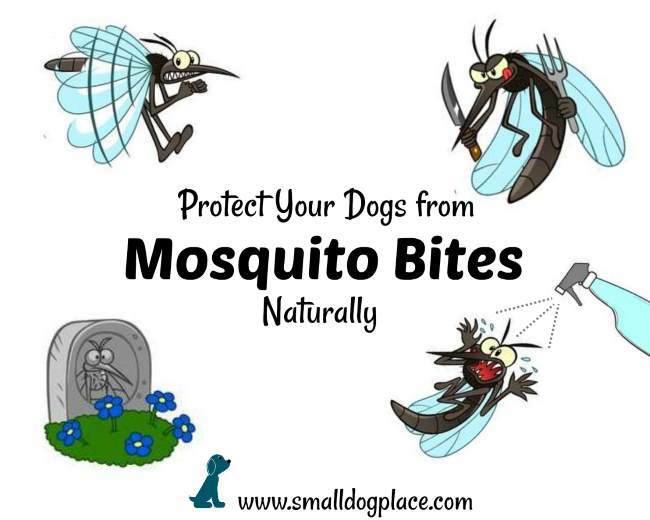 Therefore, don’t take your pet out for a walk and don’t let them out in the backyard during these times, as there is going to be a significantly larger amount of mosquitoes around to bite your dog or cat. 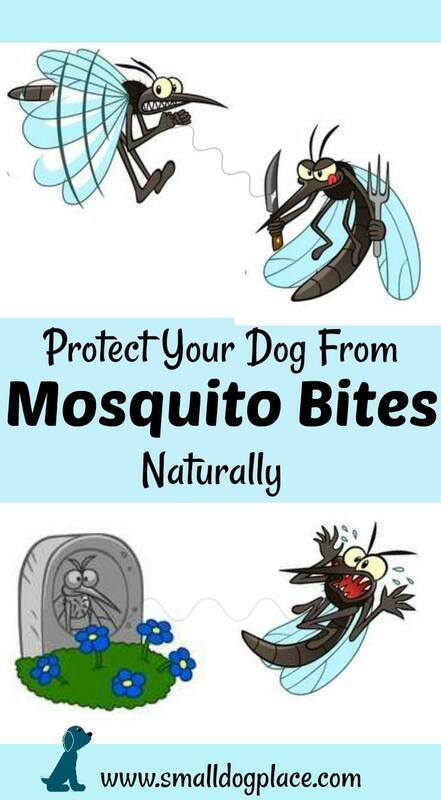 But if that isn’t possible, make sure that both you and your pet has some form of mosquito protection on, so you can repel at least some mosquitoes. Mosquitoes hide from the summer heat in the grass and compost. So keeping your backyard clean and grass cut is also a good way how to protect your yard from various insects, minimize the number of mosquitoes in your outdoor space, and help your pets avoid mosquito bites. On top of that, by eliminating mosquito hiding spots, you will also make your yard less favorable to the insects, and you might even see a decrease in a number of mosquitoes that live in your garden. Since mosquitoes breed only in standing water, there is going to be a significantly larger amount of mosquitoes wherever there is stagnant water around. So, again, by eliminating every and any still water from your backyard as well as getting rid of all water accumulating containers and spots, you can drastically minimize mosquito numbers, which, in return, will help to keep your pet safe from mosquitoes. Also, it is a good idea to make your home a refuge from insects for your pets, because this way they will know that at least indoors they won’t be bothered by mosquitoes. You can do that by introducing window and door screens and mosquito nets, which will keep mosquitoes from coming into your house and will help turn the inside of your home into a mosquito-free zone. If you use a doggie door, assure that when not in use, it provides sealed protection from the outdoors. Lastly, there are many plants which are natural mosquito repellents and therefore will also keep mosquitoes away. Among the most popular are citronella, lavender, marigolds, peppermint, and rosemary. You can either plant them in your backyard, garden or even in your house on your windowsills. And they, too, will help you fight the never-ending fight against mosquitoes. Learn how to deal with mosquito bites on dogs: Tips you can use now. Karen Thompson is the owner of InsectCop.net, a mosquito control advice blog, which will help you keep the mosquitoes away from you and your loved ones. The road to a mosquito-free life isn't easy, but it can be less hard if you know what to do.